Heat cream to prepare your body for WODs and training sessions without pain. 100 ml. Specially designed for high intensity training. Heat effect. Specially designed for high intensity training. Heats your body before each training session and enjoy a unique training experience without the usual discomforts and interruptions. Velites Magma prepares your body thoroughly. Horse chestnut and gingko biloba give you strength and provide energy. Velites Magma pampers and nourishes the skin unlike other products that clog the pores. The higher the intensity of the exercise, the warmer the sensation you get. 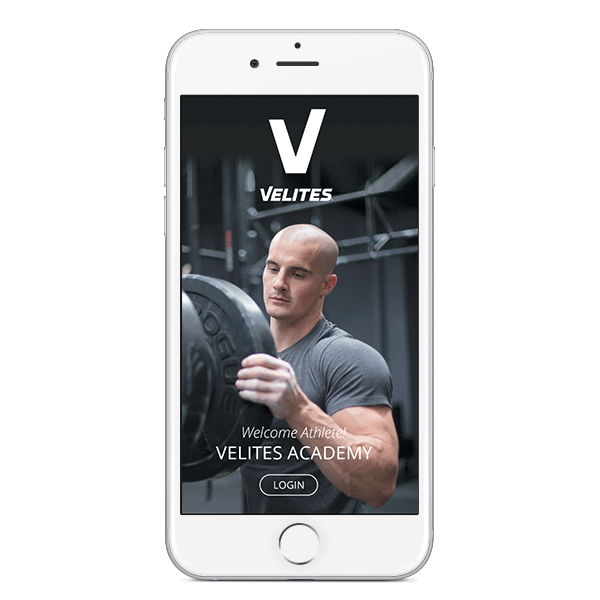 Velites Magma has a very pleasant heat effect that adapts to the intensity of your training. Prepare your body before your training and enjoy a unique training experience without pain. Proporciona un intenso cuidado de tu cuerpo después del entrenamiento. Árnica es un impresionante anti-inflamatorio natural. Velites Polar mima y nutre la piel a diferencia de otros productos basados en sustancias químicas que tienden a bloquear los poros de la piel. A mayor intensidad, mayor efecto de calor. 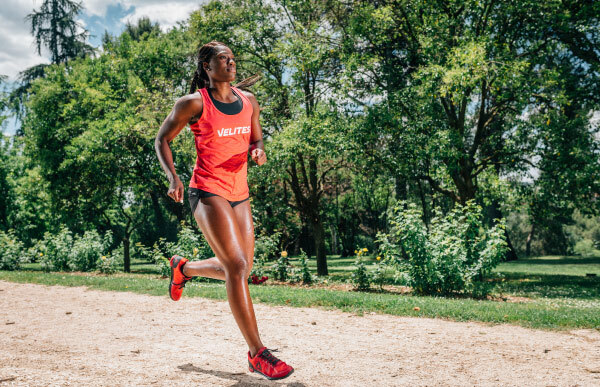 Velites Magma se adapta al incremento de la intensidad de tu entrenamiento. Prepara tu cuerpo antes de la sesión de entrenamiento para disfrutar de una experiencia sin ningún dolor. Certified organic and 100 % natural. An excellent cream to warm up before training. I had a knee injury and before starting my training I used it to warm up my knee. The result was excellent! What’s more, it has no chemical products: it’s formulated with natural ingredients only! I bought this cream some weeks ago and I must say it’s really fantastic! At the beginning the sensation is not very intense, but after a little while it gets just perfect. It’s evident that the product is very carefully thought out. It’s the zones covered with clothes that warm up most. For example, while doing squats (Wall Ball, Clean, Air Squats…..) I experienced a lot of heat in my knees, which were covered with kneepads. Highly recommendable! The sensation of heat is brutal .I used it on my shoulder and knee and I could experience how the more intense my training got, the more intense the feeling of heat became. Combine our creams for a faster regeneration of your body. Buy the creams Polar and Magma together and get the most of your training sessions with a DISCOUNT OF 10%. Prepare your body for training and speed up recovery afterwards. as discipline during the training. What is Velites Heat Cream Magma for? Magma is a heat cream or physiogel that helps to prepare your body before training and reduces any discomfort or muscular pain that may appear during the training. Magma by Velites is an innovative heat cream that acts as a vasodilator favouring blood supply to the areas of the skin where the cream has been applied. Due to the warming effect built into its formula, it prevents sprains, strains or injuries due to stretching. This cream is formulated with a high concentration of arnica, an outstanding anti-inflammatory and analgesic agent. Unlike other creams based on chemicals that remain on the skin for hours blocking the pores, Velite creams are rapidly absorbed to leave the skin hydrated and soft. Magma Velites Cream has been specially formulated for high intensity sports like CrossFit, calisthenics, functional training, martial arts, ... Sports that test the muscles, joints and ligaments of the athlete. What are the active ingredients of Magma cream? CAPSICUM - induces a pleasant heating effect that adapts to the intensity of the training. GINGKO BILOBA - Gingko extract has anti-inflammatory and antioxidant properties, increases microcirculation and lymphatic flow and fights free radicals. ST.JOHN'S WORT - an excellent analgesic. OLIVE OIL AND SHEA BUTTER - perfect for keeping your skin hydrated, supple and soft. How long do 100 ml of Magma Cream last? This depends on how frequently you use the cream and on the number of zones you treat with it. The average quantity you use to treat 20 square cm of skin is 2 ml. So, on a zone of 20 cm x 20 cm you can use it up to 50 times. When does the heating effect start and how long does it last? The heat effect adapts itself to the intensity of the training and follows the graph you can find in the first section of this page. This, of course, is subject to variations depending on your sensitivity and type of skin. This cream is for topical use only. Avoid contact with eyes and mucous membranes. Don’t use the cream on skin affected by any other pathology. If you have any allergic or abnormal symptoms within 2 days of the application of the cream, go to your doctor or pharmacist. Do not use the cream if you are allergic to any of the ingredients of the product. If you are pregnant or breastfeeding, ask your doctor. The use of this product is not recommended in children under 7 years of age. Keep the product out of the reach of children. This product is 100% natural, so the colour may vary slightly from one production batch to another. To ensure a satisfactory preservation of the product, store it in a cool, dry and well-ventilated place.